Sometimes pizza is just good for the soul. And making homemade pizza with friends while enjoying a bottle of red wine is not only cathartic, but deliciously relaxing. 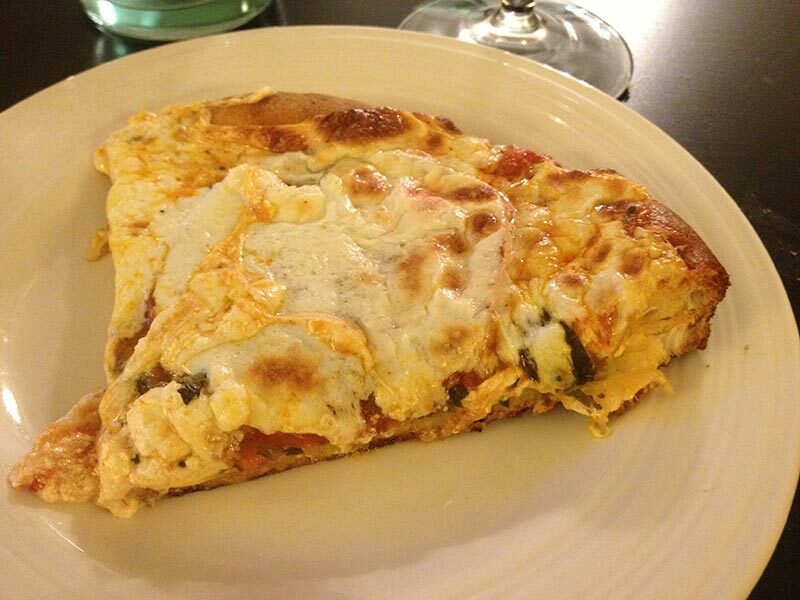 The other night me, Amy, and Mary decided pizza and wine was just what we needed after a busy week. We wanted to keep things fresh, and a caprese pizza fit the bill perfectly. And as appetizer (because when you have fresh mozzarella, basil, and tomatoes, who can wait?) 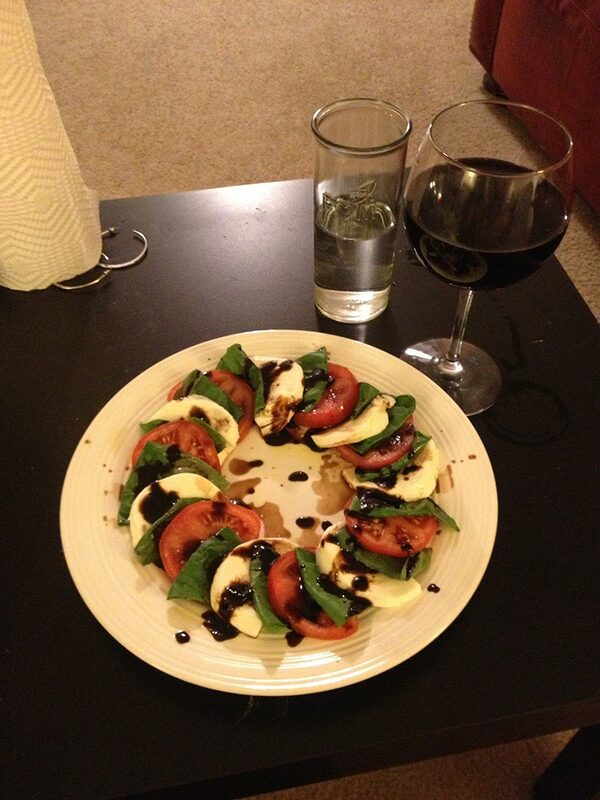 I threw together a caprese salad with the leftovers, an dtopped it with some olive oil and balsamic glaze. Molto delizioso! We baked the pizza on a square cookie sheet since I don’t have a round pizza size baking sheet. Stretch out your pizza dough until it’s the thickness you’d like. I prefer a thinner crust, so I stretched it to the ends of a cookies tray. Place dough on oiled tray. Rub olive oil and fresh pressed garlic into your crust, then top with desired amount of marinara sauce. 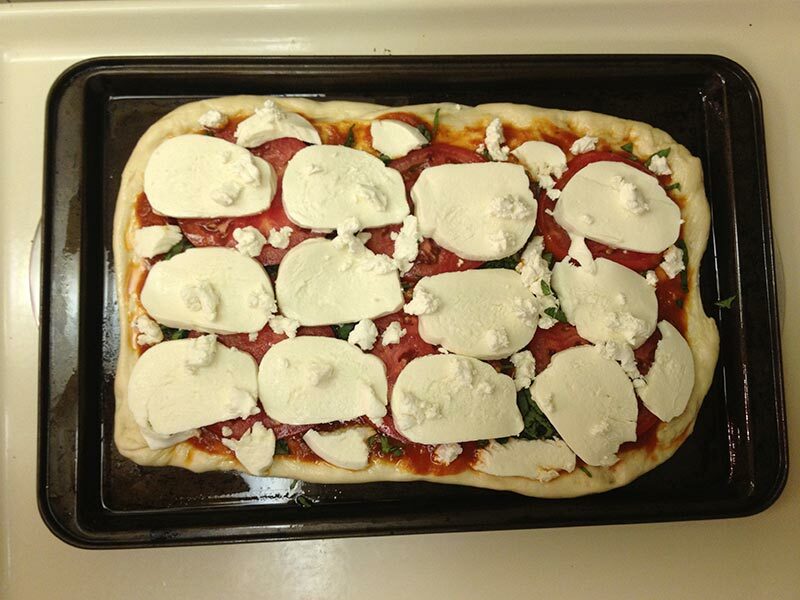 later basil, fresh tomato, mozzarella, and goat cheese. Bake at 350 for 20-25 minutes, or until the crust is golden and the cheese is bubbling. Let rest for a few minutes (if you can), and enjoy!